History Of Souvenirs Australia Pty. Ltd. 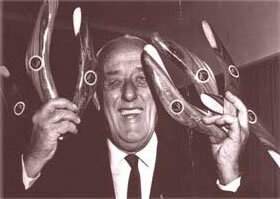 The origin of our business dates back to 1951 in Adelaide, South Australia, when Charles Pitt founded C.A. Pitt Pty. Ltd. After 10 years of growing the business, the company changed its name to Souvenirs Australia Pty. Ltd. in 1961. In its early days, the company traded in souvenirs, gifts and postcards. 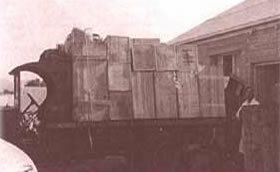 The businss grew Australia-wide and representa-tives were sent to almost every country town. Product samples were carried in suitcases and around 15 large cases were required to cover its entire product range. In the mid 60's the company decided to use caravans as mobile showrooms. This proved to be a disaster as in 1 year alone, 5 caravans were rolled. 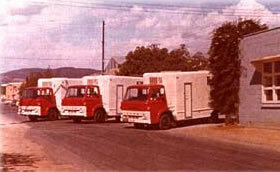 This idea was replaced by a fleet of trucks converted into self contained mobile showrooms. This proved far more satisfactory. These showrooms were used until around 1980 when overseas tourism started to grow rapidly, and the company started to specialise in Australiana and souvenirs for overseas tourists rather than gifts and novelties for the Australian Market. Red truck mobile showrooms, Adelaide Head Office. 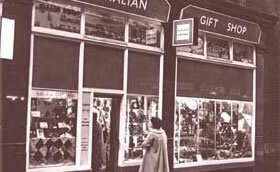 Over the years gifts and postcards were phased out of its product range and the company began to focus on souvenirs, tea, tea towels and placemats. In more recent years, creams and oils also became major lines. In 1995 the company moved from Adelaide to the Gold Coast, Queensland. As a major part of its business had by then come from the East Coast, this was a logical move. 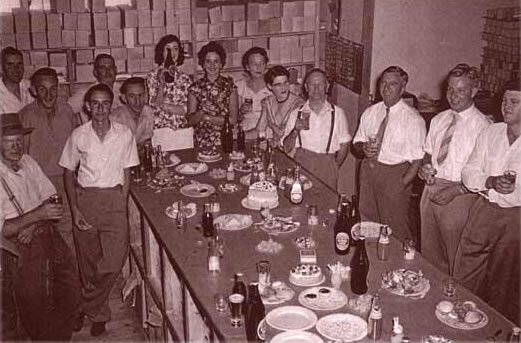 Christmas function in 1958 with the warehouse staff, Adelaide. In 2006, ownership of Souvenirs Australia passed over to the husband and wife team of Michael and Rita Goh. 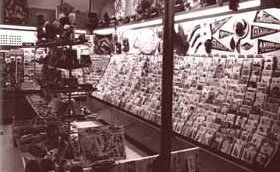 It continues its lines of souvenirs and souvenirs related products, but has since reintroduced novelties and promotional products as major lines. The company is now housed in a modern warehouse at Burleigh Heads, Queensland and continues to be managed and operated by a highly profesional group.